While on vacation you stop in a local restaurant for breakfast. You’re adventurous so you didn’t check the Yelp ratings before choosing this one. Seated near the kitchen, you have a birds-eye view of all the action. Cooks are working furiously to keep up with all the orders thrown at them, dropping dishes or utensils from time to time, and occasionally getting yelled at by the wait staff or manager for how long it’s taking to fill an order. The menu is extremely limited because the cooks have only basic ingredients and haven’t been trained to do anything except the quick stuff. Those apples and breakfast bars back at your hotel room are looking better all the time, aren’t they? Does the hypothetical scene just described also sound like your team? People feel constantly behind, and “drop” details or a level of quality in their work in their rush to meet deadlines. Instead of trying to jump in and help solve the problems, managers resort to reminding team members how far behind they are and the consequences of not doing better. Meanwhile, team members are just hoping to maintain the status quo, since they are already working at full capacity with their skills and resources. The goal for any leader or manager should be to make chefs out of short order cooks. Building capacity in them so they have a bigger “menu” of skills and are equipped to deliver “dishes” of the highest quality. Granted, not all people on your team may want to grow and will be content to cook up the simple stuff. But if you’re not making an honest attempt to invest in the ones who want to improve, they may eventually look for an organization that will… or at least one that pays more for a short order cook. Focus more on the “Why” and less on the “How” when they are in the kitchen. If you want them to do things your way, you’ll feel the need to more closely watch their work progress. If you invest the time to clearly explain an ideal outcome of the assignment, don’t be surprised when they meet or exceed your expectations in how they get the work done. 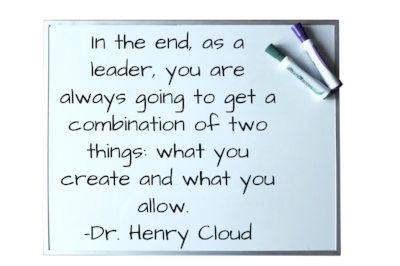 As Dr. Henry Cloud writes in Boundaries for Leaders, "[Leaders] must not just give advice and 'tell people what to do.' You must create the environment, experiences, and opportunities where your best people can attend in order to innovate and think for themselves." Discover what's limiting their ability to really cook up something special. Don’t rely solely on formal reviews or what you are observing about their performance. Be bold enough to ask questions like, “How can I help you be more successful?” or “How could I work with you differently to be of greater help to you?” Give them space to appropriately vent. But don't leave it there. Brainstorm with them about possible solutions using leading phrases like, "How might we...?" or "From your perspective, what might be a possible solution?" Use the moment as a way to sharpen their problem-solving skills. Stop throwing orders at them all the time. 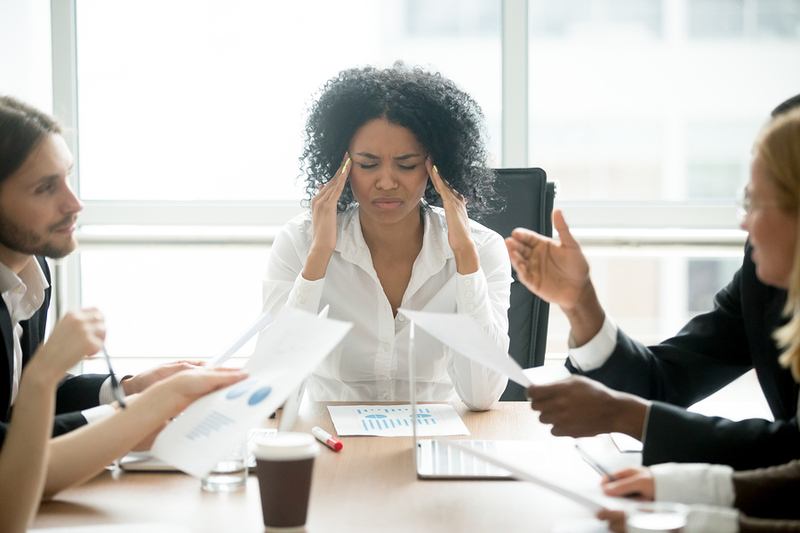 In the article, Being Busy Is Nothing To Brag About, Caroline Dowd-Higgins writes, “Some workplaces perpetuate the workaholic culture and praise the busy brag. This is not healthy or sustainable and often leads to a revolving door for talent that is neither cost-effective, nor morale boosting.” When possible, give people opportunities to slow down and more deeply reflect on how they are getting their work done. If there’s been a long period of a “lunch rush” pace, look for a way to relieve the stress faced by the team, even if for only a day or two. Improve the ingredients available to them. When making decisions, get input from all team members who will be affected. Your focus on the big picture may be blinding you to specific consequences that could result from making the wrong decision. In fact, Walter Frick writes in 3 Ways To Improve Your Decision-Making that "we should all be less certain-about everything." Involving others challenges your assumptions and ensures that you are choosing a course of action that has the desired impact. And then there's that insightful African Proverb: If you want to go fast, go by yourself. If you want to go far, go with others. A quick decision might be easier, but could a more thoughtful one developed by more people be worth the time? Cook with them from time to time. You’re thinking, “Things would fall apart if I wasn’t here!” You might just be surprised. Letting your team know you trust them enough to step away for awhile fosters a level of ownership that can’t be duplicated if you’re always around trying to solve every problem for them. 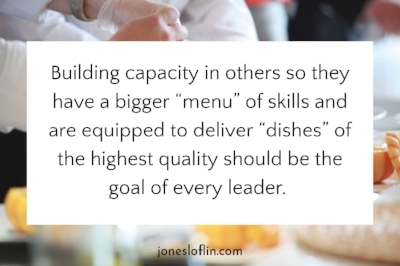 Let’s take a look at how that earlier restaurant experience might have been different if someone had invested time in developing the leadership capacity of their people. In the kitchen, the chefs are moving quickly, but there’s a level of respect and collaboration among the kitchen staff that didn’t exist before. The menu options have greatly increased, and the waiter even says, “If you don’t see exactly what you want, let us know. Our chefs love trying something new.” I don’t know about you, but I sense a memorable meal is on its way. What are you doing to create chefs out of your short order cooks?